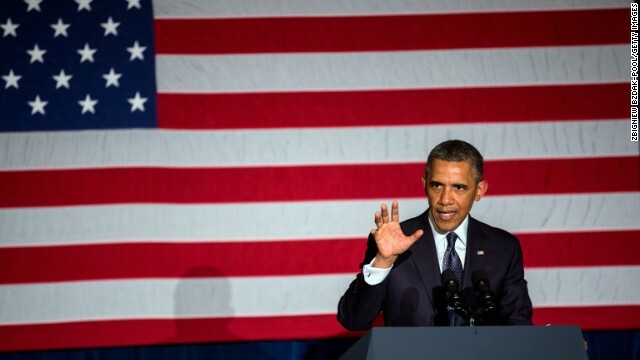 (CNN) - President Barack Obama is about to do something he's never done before. The President will headline a roundtable event for the Senate Majority PAC Tuesday evening in New York City. It's the first time Obama has served as the main attraction at a fundraiser for the organization, which is the major outside group assisting Democratic Senate incumbents and candidates running in this year's midterm elections. Super PAC's like Senate Majority PAC can raise unlimited funds. They began to spring up following the January 2010 "Citizens United" Supreme Court ruling that removed legal barriers preventing corporations and unions from spending unlimited sums on federal elections, which opened the flood gates to outside groups. Republican groups were quick to take advantage of the high court ruling, and pro-GOP super PACs greatly outspent their Democratic rivals during the 2010 midterm elections. The President spoke out against such groups on the campaign trail during the 2010 midterms. But during his 2012 re-election, Obama and his re-election team embraced the concept of a supportive outside group, and Priorities USA was formed. While the President did not directly raise money for the super PAC, he directed his top aides to help raise funds for the outside group. After an earlier visit Tuesday to a workshop in Pittsburgh that aims to give entrepreneurs and inventors the tools needed to design and build their prototypes, Obama heads to New York City for the Senate Majority PAC event, which is being held at a midtown-Manhattan hotel. Later in the evening, he heads about a dozen blocks downtown to Gotham Hall, where he'll be the main attraction at a Democratic National Committee Lesbian, Gay, Bisexual and Transgender (LGBT) gala. The fundraiser comes one day after the White House announced that the President will sign an executive order preventing federal contractors from discriminating against employees because of their sexual orientation or gender identity. A Democratic Party official says Rep. Debbie Wasserman Schultz of Florida, the DNC chair, will join Obama at the event. Approximately 550 supporters will attend the gala, with tickets ranging from $1,200 up to $32,400 per person, according to the official. The President wraps up the evening an hour later at a much smaller top dollar gathering. Obama will dine with some 30 Democratic Party supporters at the New York City home of fashion icon and Vogue editor Ana Wintour, who's been a major backer of the President. According to the official, those attending the dinner will contribute up to $32,400 to the DNC. Now that is hilarious! Fox news watchers have been THE MOST INFORMED GROUP on this topic because Fox reported the facts from day one and not the lies coming out of the Obama administration and Hillary Clinton. Fox actually investigated it and reported accurately and now, two years later, the rest of the news media is catching up with the Obama lies/eggs all over their face. That's what happens to you when you are an Obama waterboy. The Liar of the Year makes you look bad. The righties won't believe it until it is reported on their master's propaganda machine, er... I mean faux news. If they have to accept it, they will never give Obama credit. They will twist in the wind inventing all kinds of red herrings to avoid the reality, which is.... while they were crying and rending their breasts about Benghazi and how it was a cover up and/or perpetrated by Hillary and Obama themselves, the President, as usual, was ignoring the noise machine and working dilligently to bring the REAL perpetrators to justice. I love how he always manages to hand them the ball, and then while they are trying to figure out what just happened, he takes it back and slams it in their faces.... yet they continue to talk smack though the score is something like 124,628,214 to 3. Rubes.... everly last one of them! Sniffit, no, not conflicted at all- remember this is AFTER four Americans were killed- and nearly two years later. Do you know that that video had almost NO views even right after the attack? They found him the next day, this terrorists nearly two years later.
" Was it because of a protest or was it because of guys out for a walk one night decided to go kill some Americans?" Protesters don't carry the kind of munitions these guys had and knowledge of the entire compound, ready to move in and kill. The difference it makes? We should have had those guys better protected, we knew who was operating in the area. "The capture of a terrorist responsible for the Benghazi attack gets pushed to the back burner so we can have a discussion about the President fundraising?" When I landed on the CNN website at 12:40pm PDT, it was the "Breaking News." Granted, the story didn't go to the Ticker, but rather to one of those spots on CNN where the trolls hang out so they could trash the President without having to deal with responses refuting their usual idiocy. Yeah.... tell that to the 4 dead Americans. It would have been far more preferrable had he and Hillary Clinton performed their duties in a competent manner and kept our people alive. Pretty sick for you to be talking all tough when President Mommy Pants couldn't even be bothered with tryin gto help them when they were under attack. Looks like the low wattage gang is having a breakdown. DIM BULBS IN THE HOUSE! Settle down and give it a rest. It has been clear from the get-go that the right had one goal and one goal only where BENGHAZI was concerned. Indeed. Talking points as they are being forwarded from Lindsay Graham et al prove where that concern lay. Hint: it was never with the four dead Americans. "The capture of a terrorist responsible for the Benghazi attack..."
"OMG...IT'S JUST AN ATTEMPT TO DISTRACT FROM BENGHA....OH WAIT....."
I'm gonna LMFAO if this guy they captured makes statements about the video having something to do with the attack. Oh man that would be hilarious....probably not likely...but boy would it be funny. You got me in tears Sniffit. I hope he spills the beans. PLEASE!!!! Is the TEAHAGE DONNA FOX JUNKIE polluting our thread ????? ?